What? 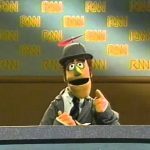 The Barney Vault hosting something that’s NOT completely Barney related? Hear me out, everyone. 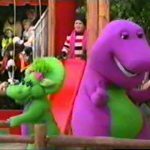 This special is an inside look at the 1998 Macy’s Parade that aired on various networks beginning in 1999 (This is a 2002 recording from the Travel Channel). As far as Barney goes, the balloon appears in various places in the special, so he’s still here in some capacity.